The 7th Asian Ministerial Conference on Disaster Risk Reduction commences in Delhi. This conference was established in 2005 and India hosted it previously in 2007. Indian Institute of Science Education and Research, Thiruvananthapuram develops a compound called ‘Gelator’ to remove marine oil spills. Bindeshwar Pathak, the founder of Sulabh International has been named the brand ambassador for Swacch Rail Mission, an initiative by Union Ministry of Railways which covers 5 important stations of Gorakhpur, Old Delhi, Jaipur, Ahmedabad and Gwalior in its pilot phase. Pratul Joshi wins Bahrain International Challenge badminton tournament. Sarabjit Singh has been appointed to the Canadian Senate and becomes Canada’s first Sikh Senator and the only Indian-origin member. 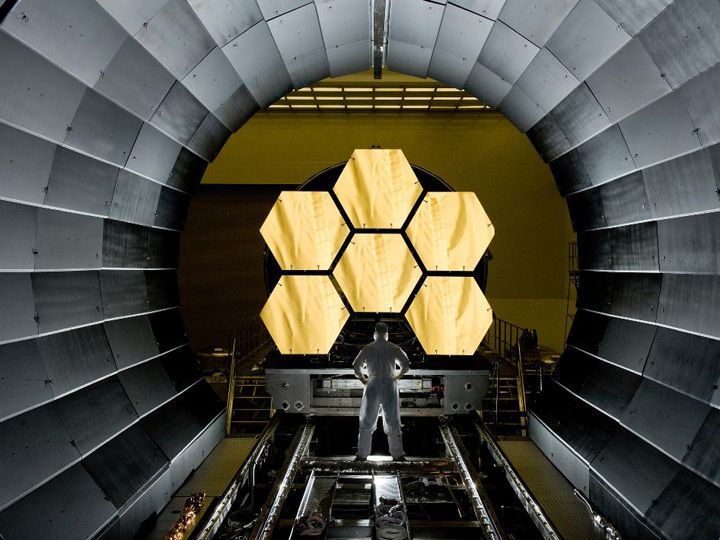 NASA’s most powerful telescope, The James Webb Space Telescope is now complete. It is a successor of the Hubble Telescope launched 26 years ago. 1. What is the name of the compound developed by IISET to remove marine oil spills? 2. Who has been appointed as the brand ambassador of Swacch Rail Mission? 3. Who is Canada’s first Sikh senator and the only indian-origin member in the Senate? 4. Name the winner of the Bahrain International Challenge badminton tournament. 5. What is the venue of the 7th Asian Ministerial Conference on Disaster Risk Reduction?